My friend Alice is a wonder in the kitchen. 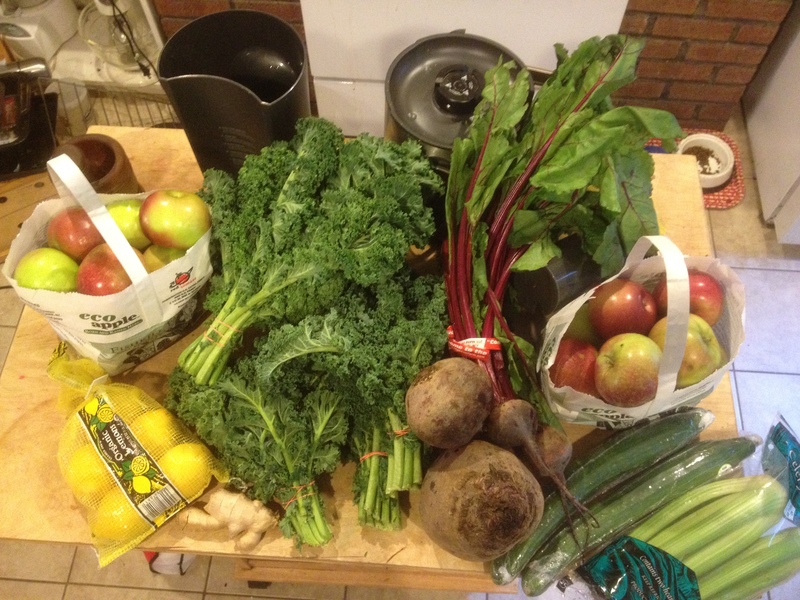 She is incredibly knowledgeable and is always cooking something delicious and healthy. So when my mom’s doctor told her she needed to lower her cholesterol, I went to Alice for recipe advice. 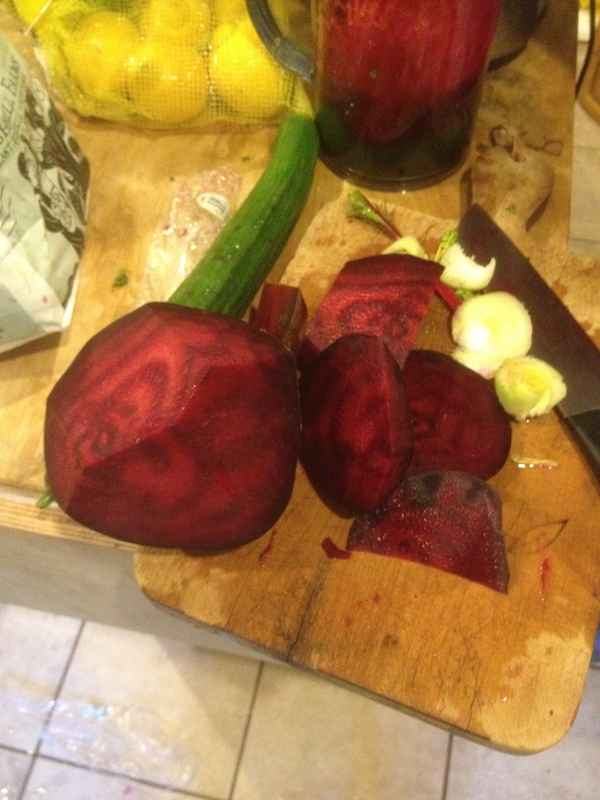 Alice suggested my mom start juicing, and sure, everyone knows about juicing, but what makes this so blog-worthy is what Alice does with the pulp. 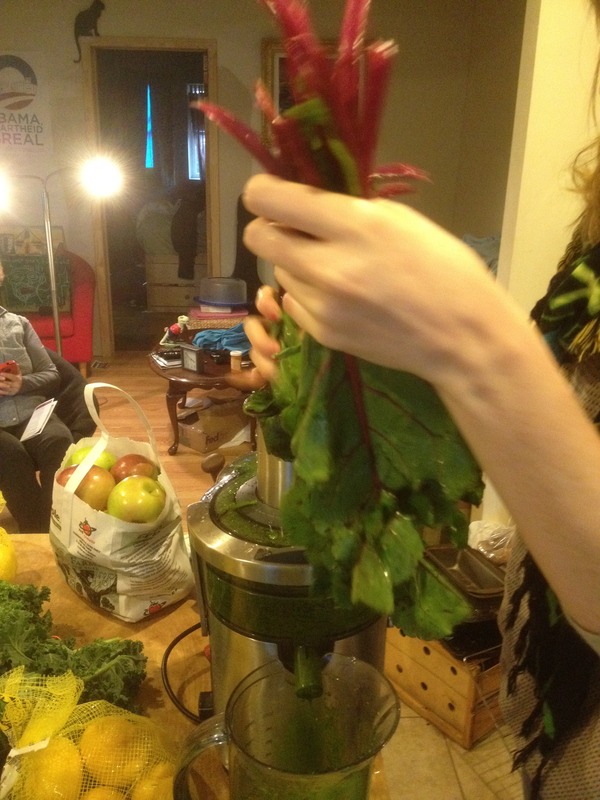 If you’ve ever juiced before, you know there is a lot of fruit and vegetable waste. What do you do with it? 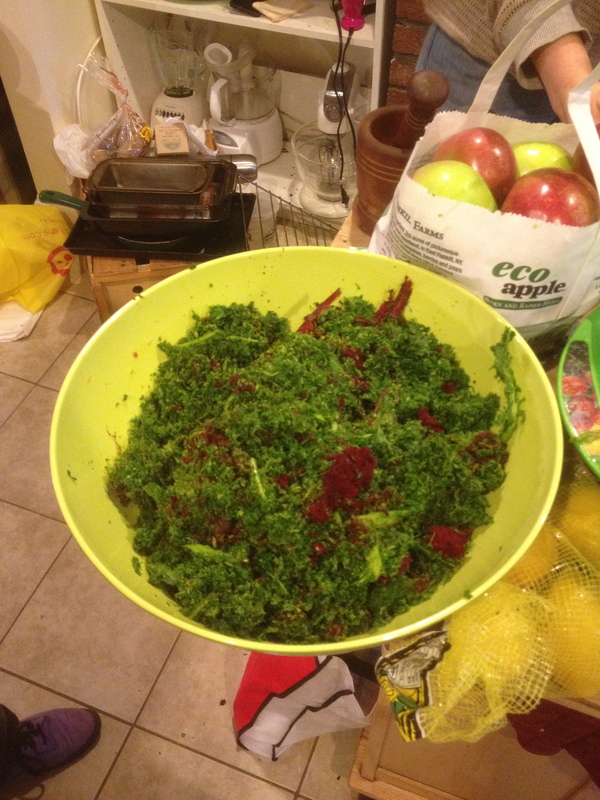 You can throw it away, you can compost it, or you can cook with it. 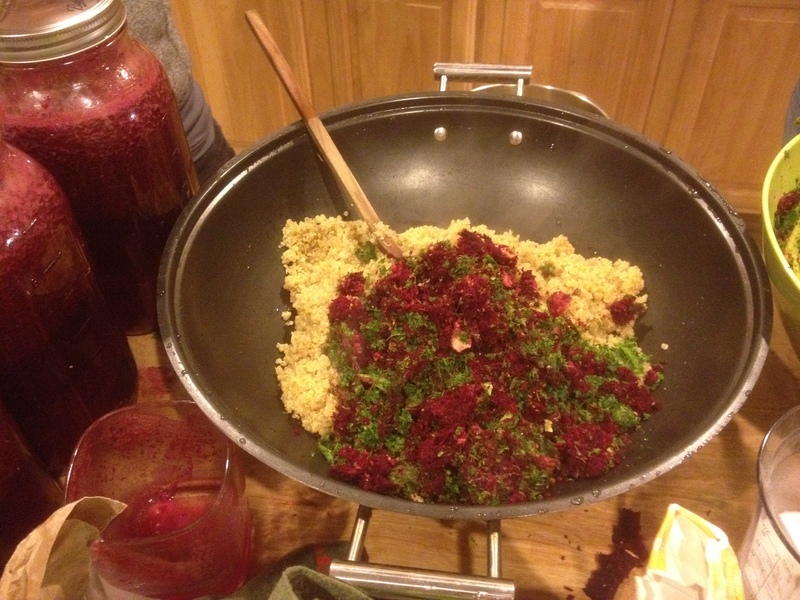 Alice came up with a great way to use the leftover pulp in Quinoa patties. Cucumbers and celery yield a lot of liquid so it’s good to mix that in between other vegetables to help flush out your juicer. 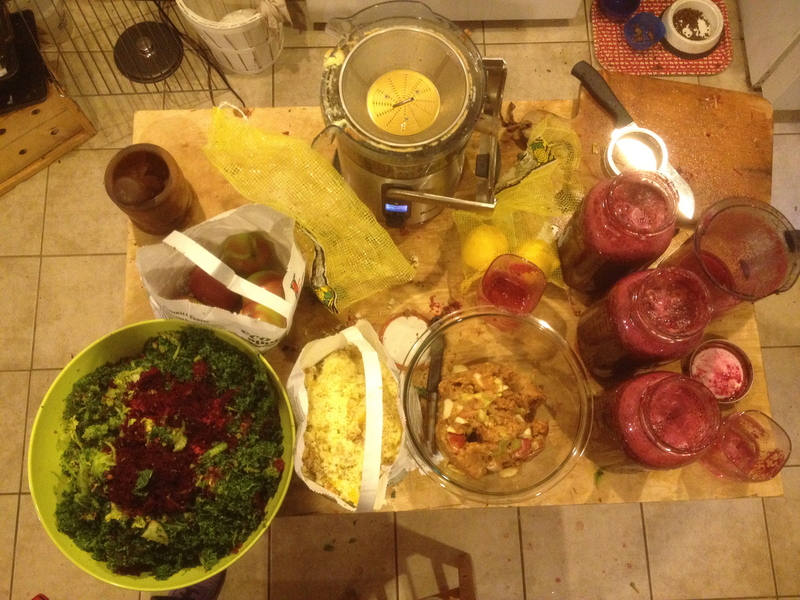 We juiced the lemons and the ginger separately, since we wouldn’t be using that pulp for the quinoa patties. 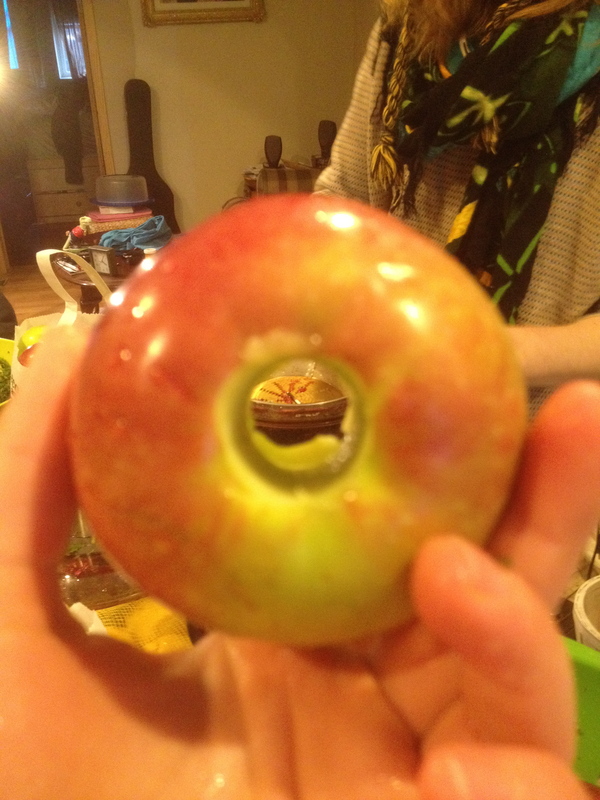 Then we cored the apples and Alice kept that pulp to make applesauce with later. I didn’t realize that apple seeds are poisonous to humans, so make sure you core them first if you plan on using the pulp. 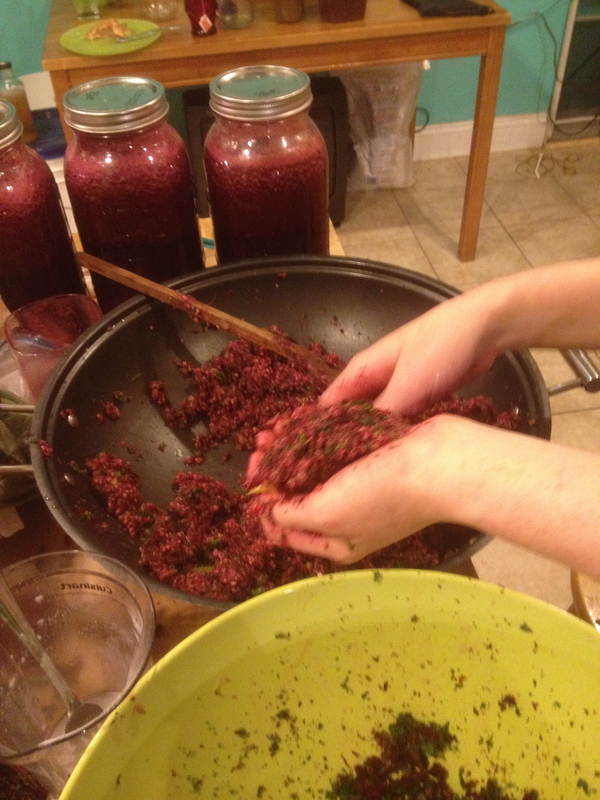 This is our end result of juicing -the pulp we will use for the quinoa patties, the pulp that will be composted, the pulp that will be turned into applesauce, and of course, the amazing juice itself. 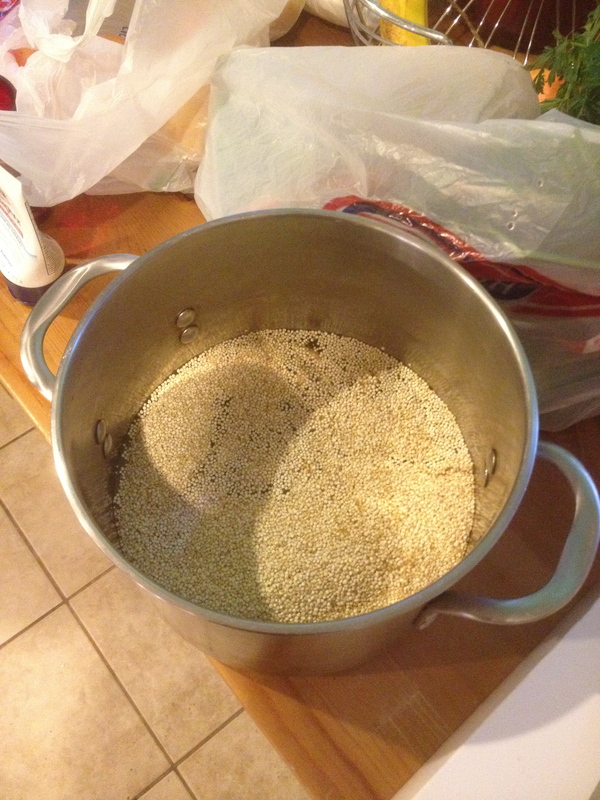 Next, Alice cooked quinoa in her own homemade vegetable broth. She mixed the quinoa with the vegetable pulp and added some egg replacer (to keep the recipe vegan) to help the patties stick together. You can also add avocado to help the patties stick together. 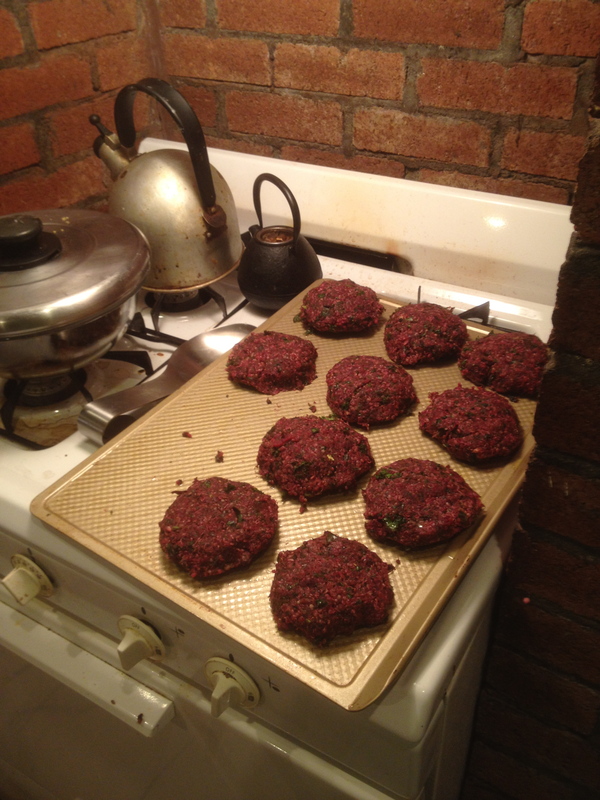 Then she formed them into patties and baked in a 450 degree oven for 20 minutes. The patties can be frozen for later, and the mixture can be used for other things. I used mine in a stir fry and it was really good. It’s a very filling meal, it’s all protein and fiber, so it completely fills you up but you don’t feel sluggish after eating it. Thank you Alice for this awesome recipe! « Aden Food Market found my wallet!